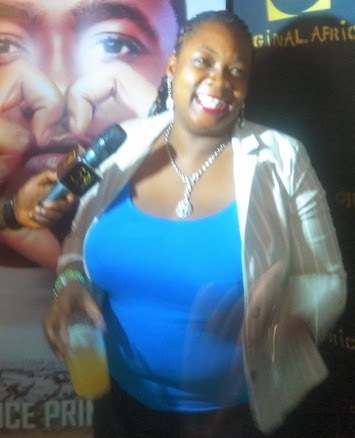 Last month, the pregnancy story of Nigerian comedienne Princess hit the web. In the false rumour that spread like wild fire, some folks claim Princess has been spotted with a growing baby bump with her husband Adeshola Jeremiah on several occasion and that the couple are about to welcome their first baby. Last night at the Fire of Zamani album launch concert for rapper Ice Prince in Lagos, the talented comedian distanced herself from the rumour. Princess said she felt really bad when the pregnancy rumour reached her hearing. From her intonation last night, she wishes the rumour could be true. Princess said she hopes and pray to get pregnant before next year. Make she do quick oooo, we can’t wait to see little princess. My dear Princess! God will surely grant u ur heart desire.